Investors closing in on retirement and looking to secure future income would do well to explore deferred income annuities. Indeed many are, as sales of these products are accelerating. On track to top $3 billion in 2014, sales of deferred income annuities totaled just $1 billion in 2012, according to LIMRA, an insurance and financial services association that provides marketing and research services. 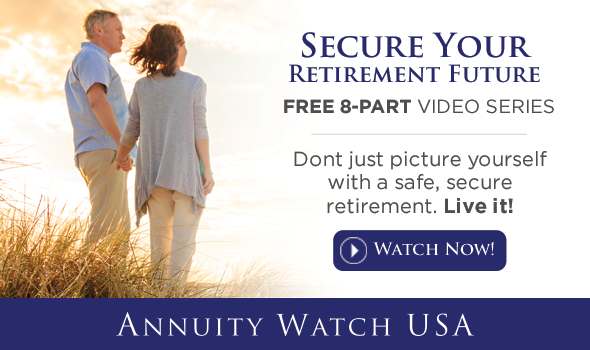 With a deferred income annuity, investors either pay periodic premiums, or pay their premium in one lump sum, to generate a guaranteed lifetime income stream in the latter years of retirement. Firms offering these annuities typically pay investors interest, which adjusts as rates fluctuate. Policyholders have the option to defer income for 12 to 45 years, with annual payouts beginning as late as age 95. For example, a 55-year-old male wishing a retirement income of $17,000 annually starting at age 65 could generate this income stream by investing $150,000 into a deferred income annuity today. However, the longer you can defer the payments, the bigger the payout. Therefore, early planning is the key. Previous IRS rules required payouts to begin at 70-1/2, but now the rules have changed. New IRS rules permit people to invest up to 25% of their IRA or 401(k) account balance, or $125,000, whichever is less, into deferred annuities without having to start receiving required payouts at 70-1/2. People can defer payments until they are 80+, thus giving the annuity longer to grow into much larger annual payment amounts. It is really impossible to know if a deferred income annuity is a wise buy for one simple reason – you do not know how long you will live. However, here is something to consider – according to an article in USA Today, life expectancy in the USA just hit a record high. Advancements in nutrition and medicine have led to Americans living longer than ever before. So, the real question is – do you want to take the chance of outliving your retirement savings?